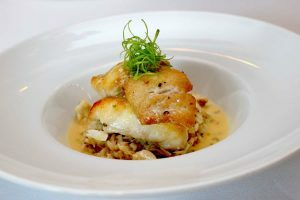 St. Joe Club & Resorts realized its fine dining restaurant Fish Out Of Water was a bit of a … well, a fish out of water. Located within the WaterColor Inn, a new “clever, hip and fun” restaurant seemed more in line with the “WaterColor casual” attitude St. Joe strives to maintain. Management closed down the AAA four diamond award recipient this summer, rebranded and re-opened as FOOW (pronounced “foo”). 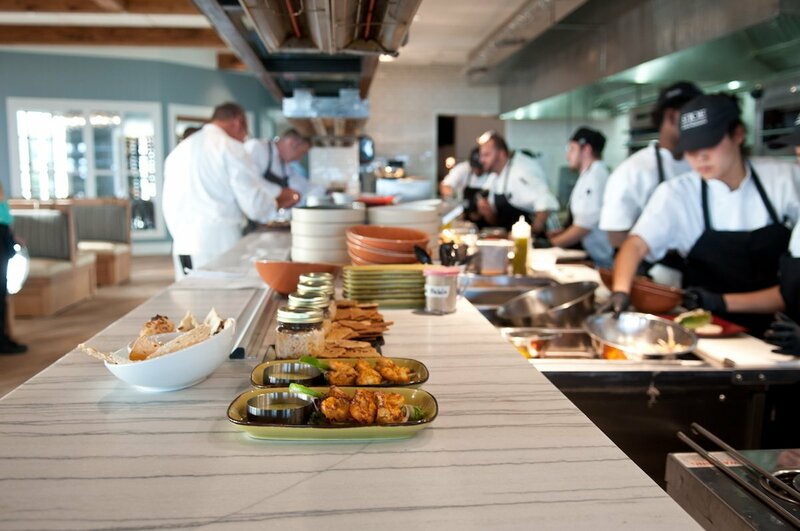 The open kitchen at FOOW. What’s up with that unique name? you might be wondering. “We wanted people to understand the correlation that FOOW is still owned and operated by the same company, but that it’s completely new, improved, and different,” Czarnecki said. 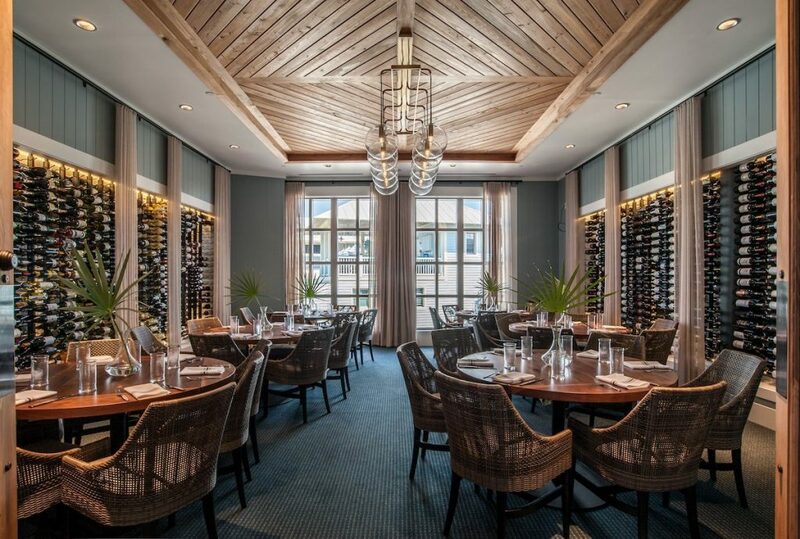 Diners will notice the restaurant itself has undergone a major transformation, too. “The space has been reimagined with a streamlined open-air kitchen, an expanded Gulf view bar that wraps around from the interior to exterior to bring the sense of the outside in, as well as updated décor and high-end design flourishes that underscore WaterColor Inn’s natural seaside atmosphere,” explained Czarnecki. 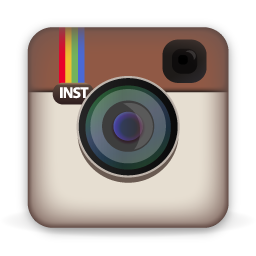 “It is important to highlight the brand personality through different avenues such as these small touches. It’s not as much about the upscale dining as it is about the overall guest experience,” added Kyle Davis, assistant director of food and beverage for WaterColor Inn. 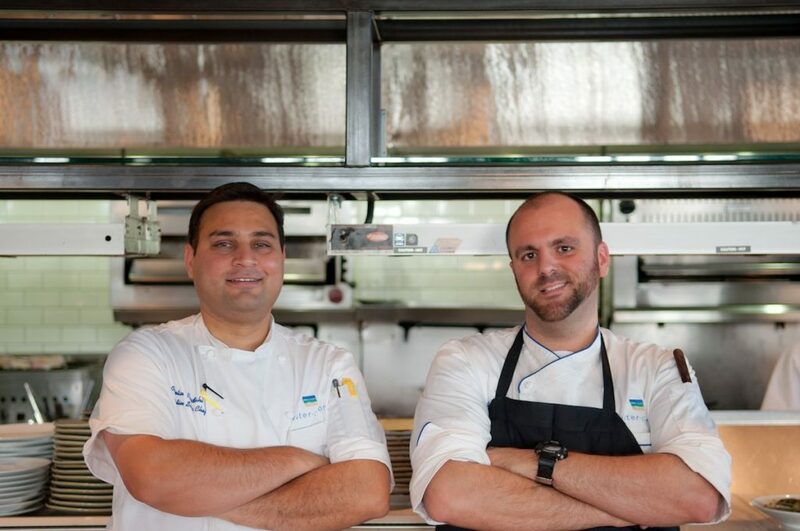 Executive Sous Chef Preetam Pardeshi and Chef de Cuisine Christopher Mayhue used a “coastal global approach” to craft FOOW’s new menu. 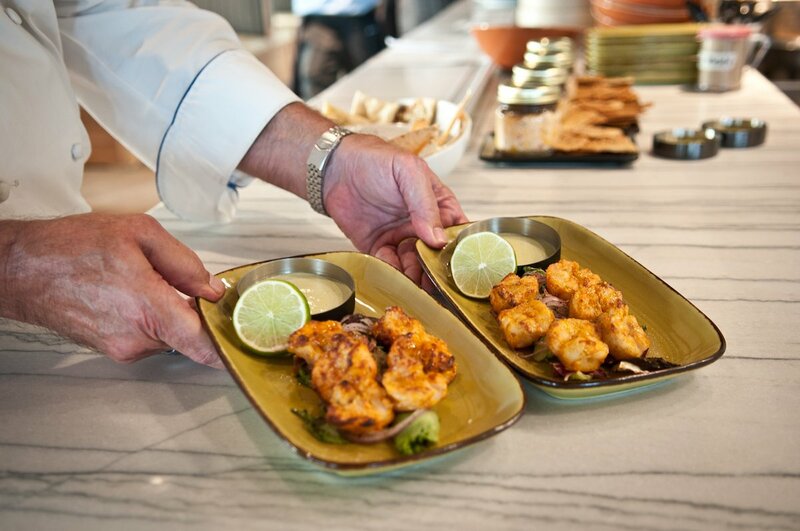 For example, the Tandoori Grilled Shrimp starter combines pickled red onions, sumac, cilantro-mint yogurt and lime. The Day Boat Line-Caught Grouper utilizes field peas, kale, brown butter citrus sauce and green tomato corn chow-chow, and comes grilled, blackened or fried. 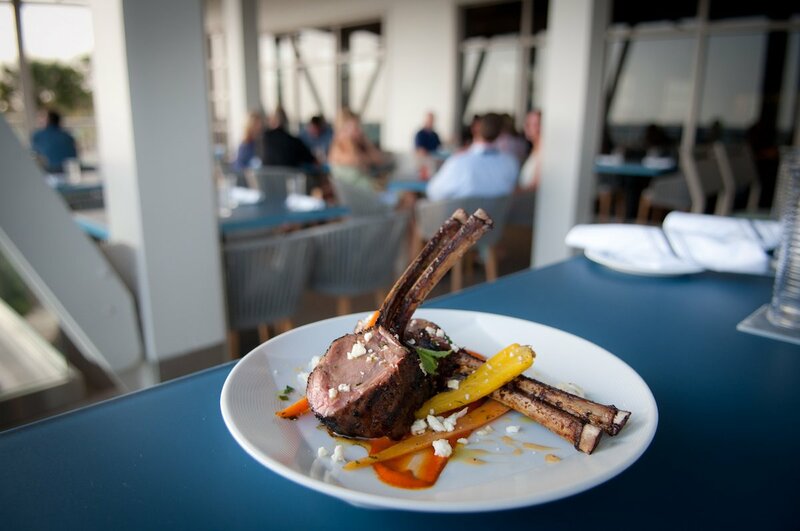 From the “On the Ranch” portion of the menu, you’ll find Grass-Fed Lamp Chops, served Harissa-spiced with baby carrots, feta, mint and a roasted red pepper puree. 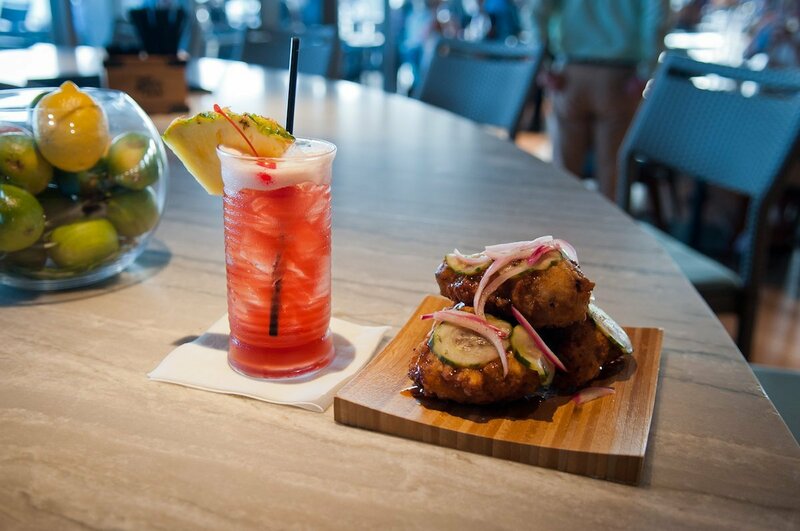 While the restaurant is open for lunch and then again for dinner daily, the FOOWbar keeps the fun going from 11:30 a.m. to midnight. 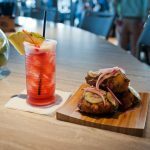 A selection of FOOWbar bites are available even when the kitchen is closed, and during Happy Hour (3 to 7 p.m.) bottled beers are $3, draft beers $5, and specialty cocktails and wines by the glass are on special for $6. Liquor is served half-off as well, with an entire “Rum Around the World” menu available. FOOW boasts an impressive wine cellar, with well-traveled labels from India, Macedonia, South Africa, and New Zealand. The private room at FOOW. 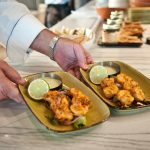 Families are welcome for an unpretentious meal while enjoying the expansive Gulf view, unique dishes and professional service. Kiddos eat free from 5 to 6 p.m. daily, and have a menu all to themselves. The “Mac Double” Cheeseburger, for example, features two 4-ounce burgers and creamy mac n’ cheese. For those with a simpler palate, the toasted PBJ is served on buttered brioche with grape jelly. Any of the five kids’ options come with a choice of fries or seasonal fruit. 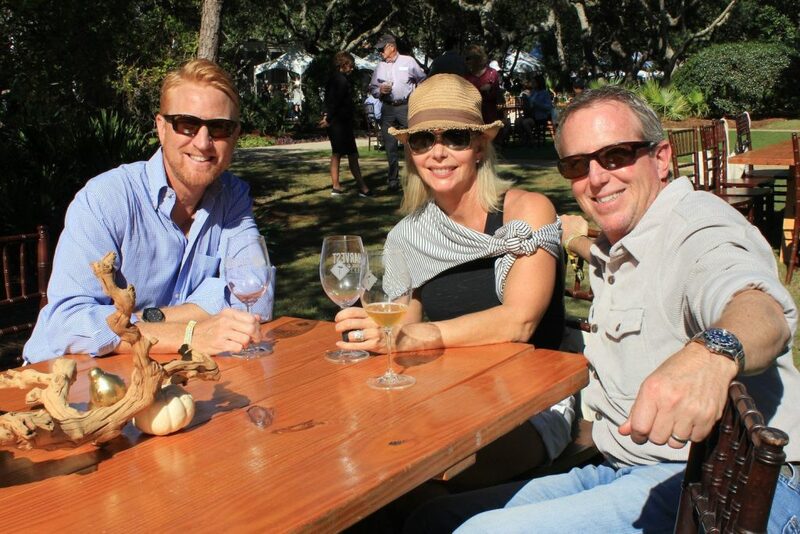 The Harvest Wine & Food Festival was back for its second year at the picturesque Cerulean Park in WaterColor Oct. 27, bringing with it a mix of new and familiar faces. 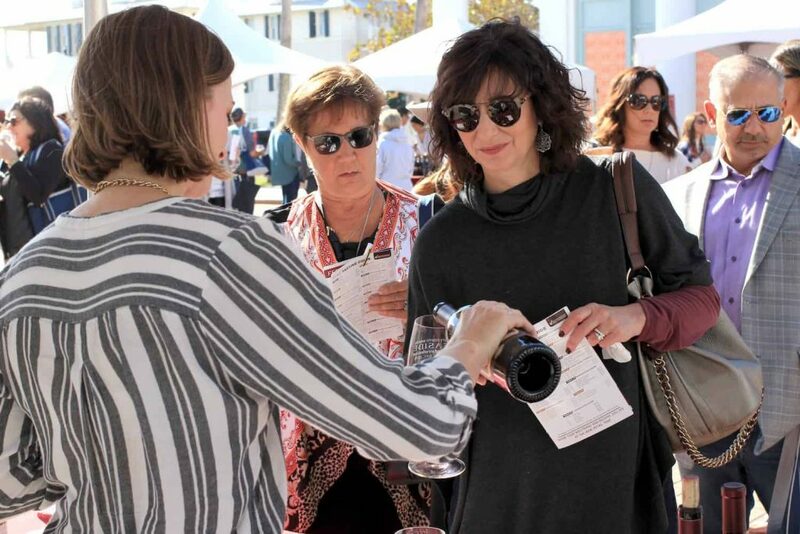 With 60 tents offering more than 250 bottles of wine – with beer and spirits mixed in – variety was the name of the game, all brought together by the Destin Charity Wine Auction Foundation. Tanya Forrestall of Birmingham, Ala., won VIP tickets through 30A Food & Wine’s online contest. She had attended the Seeing Red Wine Festival in the past, but was blown away by the 2-year-old Harvest fest. She pointed to the Child’s Play Pinot Noir from Willamette Valley as her favorite of the day, admitting Oregon pinots are her favorite. Restaurateurs from near and far helped to keep the wine-tasters going strong. Fox Bros. Bar-B-Q, the official barbecue of the Atlanta Falcons, plated up their homemade jalapeño cheddar sausage, sliced brisket, and a whole hog po’boy topped with cole slaw. stadium mustard and it helps to give a good crust,” admitted Jonathan. As part of The Market – a food stop central to the festival – pastry Chef Kaley Laird of Asheville, N.C.-based The Rhu offered fall on a plate. She garnished pumpkin bread with apple butter, pickled apples, and lapsang tea-infused dark chocolate. 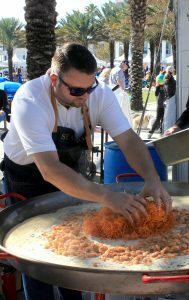 Slick Lips Seafood & Oyster House from Baytowne Wharf teamed up with Destin-based Brotula’s Seafood House and Steamer, and Jackacuda’s Seafood + Sushi under The Gulf tent. 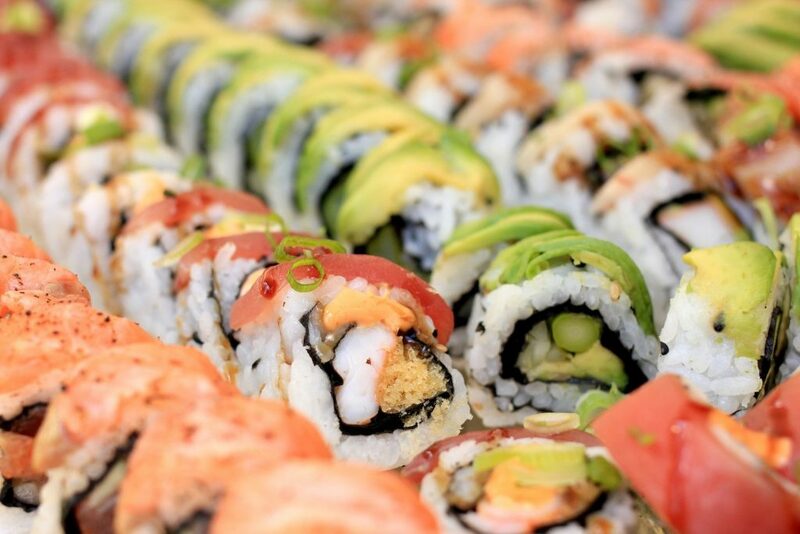 Offerings included the tuna and avocado ceviche, shrimp rangoon, bacon jam and goat cheese crostini, fish tacos, and an assortment of fresh sushi. “I had to find Jackacuda’s. This is the highlight of my whole festival,” one patron was overheard saying. The sushi from Jackacuda’s Seafood + Sushi included freshly caught yellowfin tuna, asparagus, scallions and avocado. Back Beach Barbecue’s Shane Kirkland was back again, offering Southwest-style smoked chicken chili with corn, cilantro and cheese. He recommended pairing it with The Didjits Blood Orange IPA from Burnt Hickory Brewing in the tent next door. He also plated a smoked Buffalo chicken dip with bleu cheese, cream cheese and sour cream, which he thought would go well with a graham cracker stout. Filling the VIP tent food stations were Cuvée Kitchen + Wine Bar of Destin, the mobile raw bar from Oysters XO, and Restaurant Paradis of Rosemary Beach. Paradis Chef Mark Eichin was pleased to be back for a second year. He brought a big pot of lamb and white bean chili, accented with Greek yogurt, Wisconsin sharp cheddar and mint. Eichin suggested pairing the dish with a medium Pinot, a cab or a Bordeaux blend. He said he let the forecast determine his menu this year. 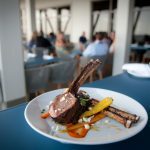 “I was looking to do something with lamb, and then on Monday, I saw the weather report and thought this would go great with everything,” Eichin said. The exclusive vintner lineup in the VIP tent included Domaine Serene, Robert Craig Winery, VGS Chateau Potelle, and Roy Estate. Representing Roy Estate was Director of Sales Kathryn Reynolds, who poured their Proprietary Red, 2014, a blend of cabernet, merlot and petit verdot; as well as the 2014 Cabernet. Roy Estate has attended other Emerald Coast wine festivals in the past, but felt compelled to accept the DCWAF’s invitation following Hurricane Michael. “Last year we went through the fires in Napa Valley, so we know how it is to recover and to move forward,” she said. 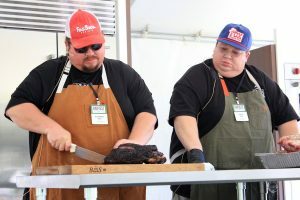 The demo stage hosted culinary presentations, giving attendees a chance to learn about wine pairings and cheese board-building from Birmingham’s Busy Corner Cheese & Provisions, meat-smoking tips from Fox Bros. Bar-B-Q, and sushi-making with Chris Shea of Jackacuda’s. Scott Atkinson suggested wine pairings to go with the cheeses offered up by Busy Corner owner Brian McMillan. The Harvest Wine & Food Festival is a fundraiser of the DCWAF, which raises money for children in need in Northwest Florida. 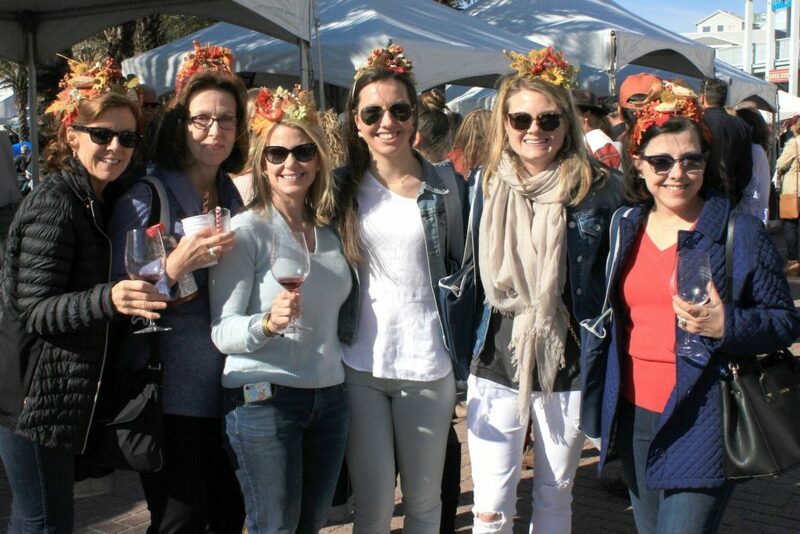 In addition to ticket sales, the Harvest fest generates dollars through a Thursday evening celebrity winemaker dinner, the Friday night Al Fresco Reserve Tasting, and a silent auction during Saturday’s Grand Tasting. For even more photos from the 2018 Harvest Wine and Food Festival, be sure and visit us on Facebook at @30afoodandwine. Bay Breeze Patio announces the panel of honorary judges for the 5th Annual Eggs on the Beach Cooking Competition, which will be held at Seascape Resort on Sept. 29, 2018. This year’s group of culinary experts includes Chef, Author and Food Network personality James Briscione; Cookbook author and former host of ABC’s internet and digital cable food series Brooke Parkhurst; Corporate Chef for Tony Chachere’s Jude Tauzin; Executive Chef and Partner at Volare Italian Ristorante Josh Moore; and Chef Dan Luizzi. 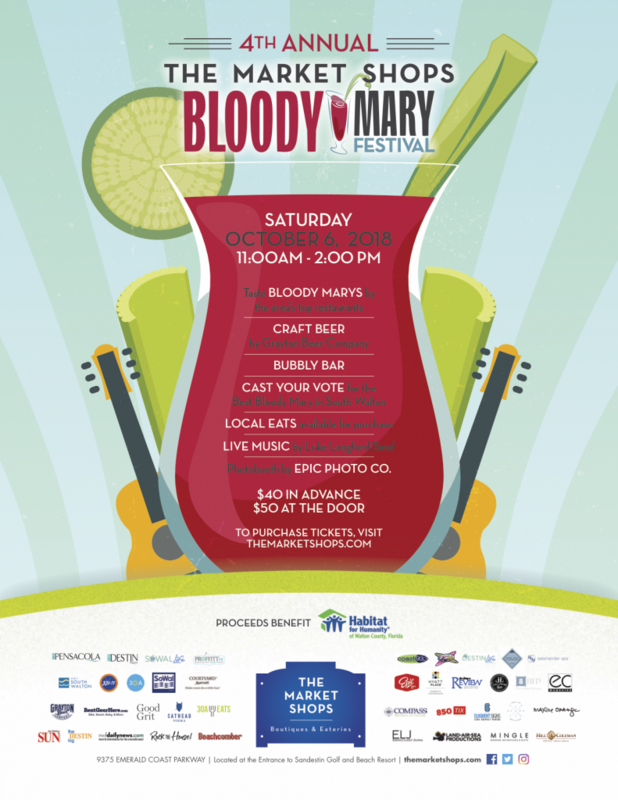 Each cook team will showcase their delicious creations prepared on the Big Green Egg smoker/grill and the team of honorary judges will score the results in a variety of categories. The Judges Award Grand Winner will receive a golden ticket to go on and compete at the World Food Championships in Orange Beach, Ala. with a chance to win $100,000. Chef and Author James Briscione and Brooke Parkhurst, co-authors of Just Married and Cooking, will serve as honorary judges and debut their new book, The Flavor Matrix (HMH ’18). Chef, author and Food Network personality, James is the host of the award-winning Food Network digital series Man Crafted and was the first-ever two-time “Chopped” champion. His wife, Brooke Parkhurst, is an accomplished author, foodie, mom and home cook. Her debut novel with recipes, Belle in the Big Apple (Scribner, 08’), features a small-town Southern girl who moves to New York City in search of a career–and a good meal. Brooke currently pens an online food column, “Full Plate,” for the New York Daily News. She has also hosted ABC’s internet and digital cable food series in addition to acting as the lifestyle/cooking correspondent for Conde Nast’s debut web network. Chef and Author James Briscione and Brooke Parkhurst, co-authors of Just Married and Cooking, will serve as honorary judges and debut their new book, The Flavor Matrix (HMH ’18). Brooke and James regularly appear on Dr. Oz and have been featured guests on The Today Show, Fox & Friends. Together they authored their newest book The Flavor Matrix (HMH ’18), a revolutionary new guide to understanding and creating flavor. They will soon open their first restaurant inspired by their home on the Gulf Coast and travels through Italy. Angelena’s Ristorante Italiano is set to open in Fall of 2018 in Pensacola, Fla. Accompanying James and Brooke is Executive Chef Jude D. Tauzin, the Corporate Chef for Tony Chachere’s Creole Foods. Chef Tauzin grew up in Opelousas, La., watching his mother and grandmothers cook, always trying to lend a helping hand. In January 2007, Tauzin took over Catahoula’s restaurant in Grand Coteau and a year later was voted one of five “Chefs to Watch” by Louisiana Cookin’ magazine. 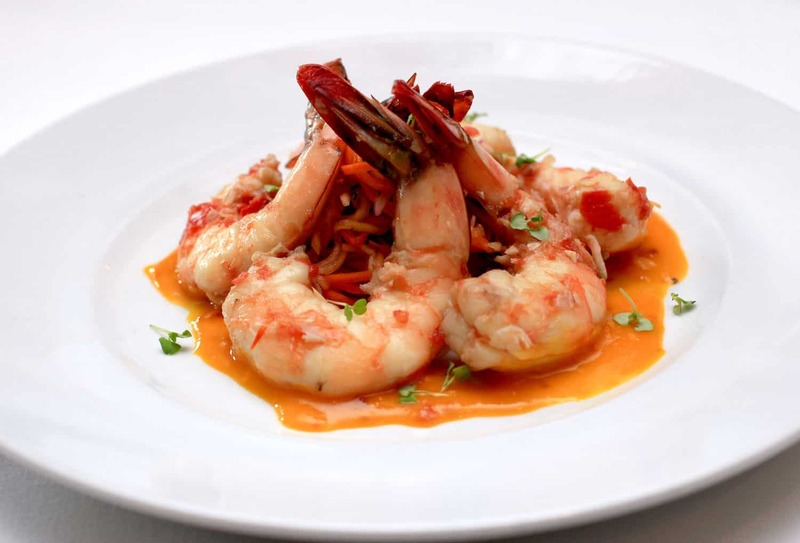 Tauzin has also garnered accolades from foodie journals like Southern Living and Gourmet magazine. 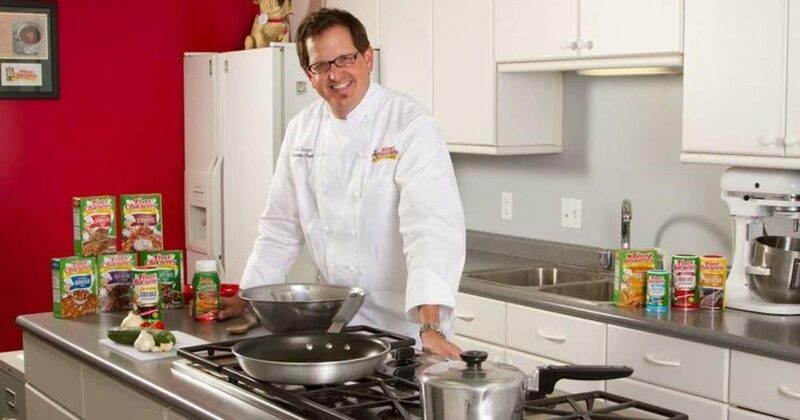 Tauzin is the 2010 President of the Acadiana Chapter of the American Culinary Federation and is active in numerous charitable events throughout Acadiana. Executive Chef Jude D. Tauzin, the Corporate Chef for Tony Chachere’s Creole Foods. Hailing from Louisville, Ky., Executive Chef and Partner of Volare Italian Ristorante Josh Moore will serve as honorary judge this year. Josh knew he wanted to be a chef as soon as he could reach his grandmother’s stove. Seven years later, at the age of 14, Josh was working in a professional kitchen. He started his career as the pastry assistant at Vincenzo’s Italian Restaurant in Louisville. 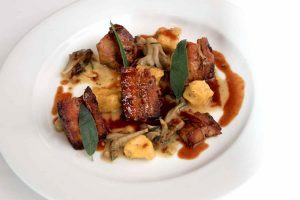 Josh’s creativity and strong work ethic helped boost his career into other top kitchens in the city, such as Porcini’s and Wildwood Country Club. 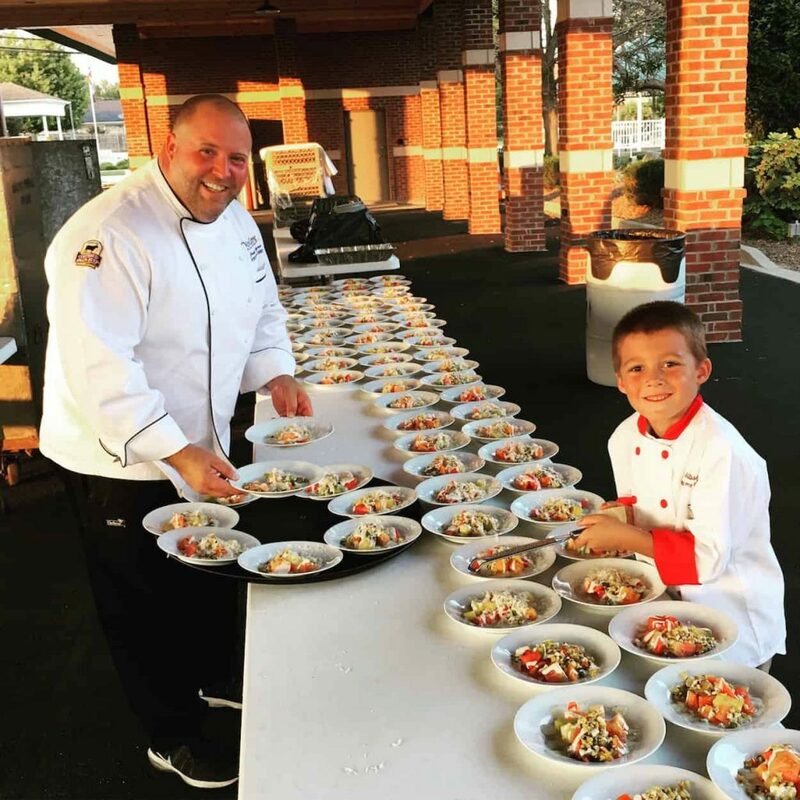 Along the way, Chef Josh has cooked for Muhammad Ali, Robert DeNiro, Al Pacino, Jack Nicholson, Drea de Matteo, Micheal Imperioli, the Prince of Monaco and Coach Calipari and the entire 2012 UK Championship basketball team. He is also trained in the art of French sugar pulling and blowing and is very talented in ice carving. He has been Executive Chef and Executive Pastry Chef (a rare combo) of Volare since 2005. 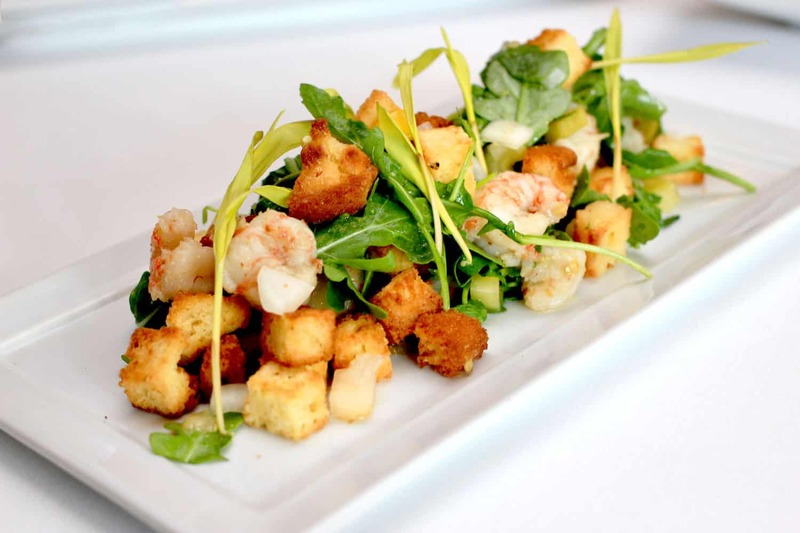 From March to November, he harvests vegetables from his farm strictly for Volare’s kitchen. Originally from Newton, N.J., Staff Sergeant Dan Luizzi will serve as the fifth honorary judge. 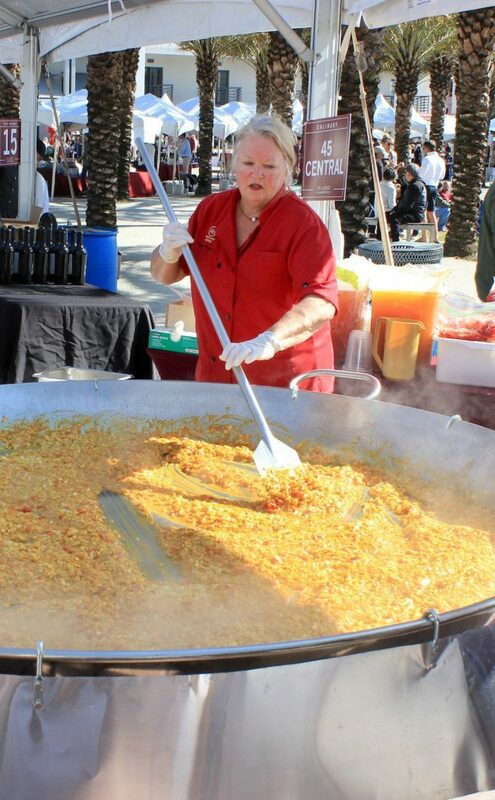 Dan is currently a trained military chef who supports a diverse array of special events. These events range from large community gatherings to small dinners of distinguished guests. The Eggs on the Beach Cooking Competition will feature tastings by more than 30 cook teams, live music by Austin Jennings, cash bar with beer, wine and sodas, “People’s Choice Awards,” Knob Creek Craft Cocktail Seminars, Craft Beer Seminars presented by Abita Beer, chances for prizes, a Kids Zone, ENCO Sports Zone and more. All proceeds from Eggs on the Beach benefit Fisher House of the Emerald Coast and Food For Thought. For those who have thought of owning a Big Green Egg, Demo Eggs, which will be used during the event, are on sale now for a discounted price. Demo Eggs come with a nest (metal stand), plate setter and a limited lifetime warranty. Demo Eggs may be picked up after the event, between 4 – 5 p.m. on September 29. Eggs on the Beach Taster tickets are available for $32.50/adult, $14/child (age 11-17) and kids 10 and under are free with a paid adult. Tickets purchased the day of the event will be $40 at the gate. 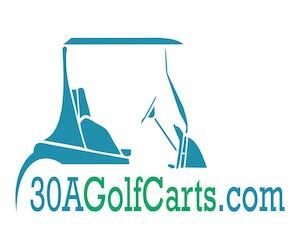 To learn more or purchase advance taster tickets, visit www.EggsontheBeach.com. 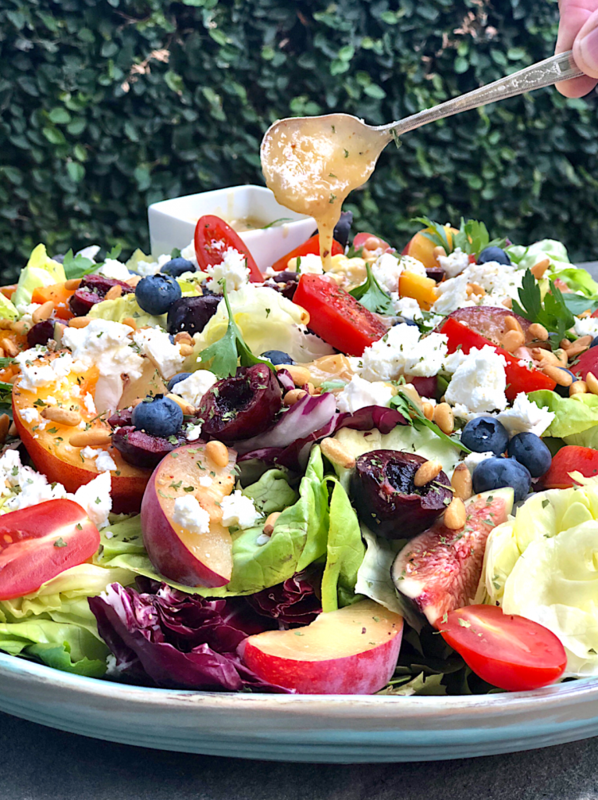 SANDESTIN – When talking fall flavors, Chef Lee Guidry steers clear of the much-maligned pumpkin spice, and instead reaches for fine dining staples like sage, brown butter, and butternut squash to create his fall menu – which debuts Tuesday. 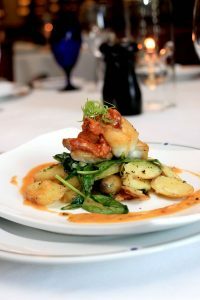 The new executive chef at Seagar’s Prime Steaks & Seafood rolled out a four-course tasting menu during a Sept. 6 media luncheon, including a pan-roasted grouper entrée, a smoked duck breast, the Panzanella salad with rock shrimp, and a sautéed snapper served alongside fingerling potatoes. Executive Chef Lee Guidry sauces his Heureux Farms pork belly for the first course. 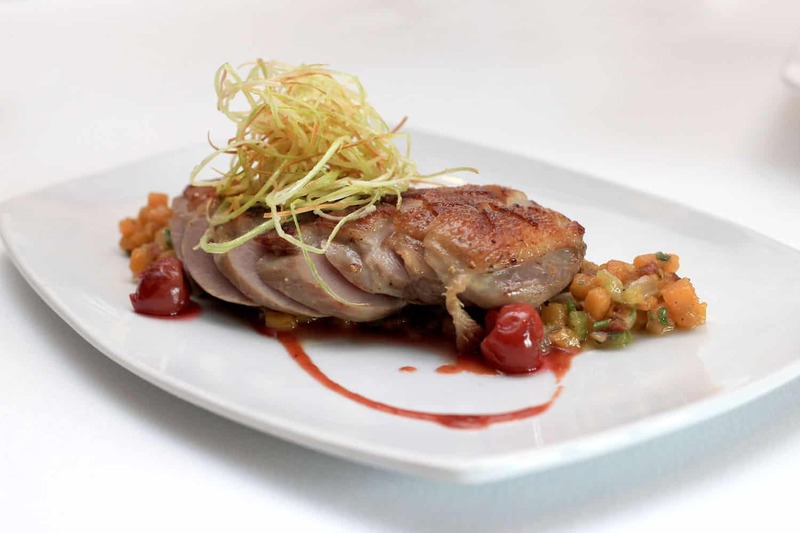 Smoked duck breast is accented with cherry gastrique, herbal tea, butternut squash hash, and crisp leek threads. The colorful jumbo lump blue crab is served atop fried green tomatoes with roasted pepper and Green Goddess dressing. The rich Heureux Farms pork belly is plated with carrot and ricotta dumplings, maitake mushroom, spinach, and brown butter in a pork jus. A native of the area, Guidry has brought flavors back with him from his well-traveled career, including work in Chicago, New Orleans, and Nashville. The jumbo lump blue crab with fried green tomato and Green Goddess dressing, for example, came with him from the Windy City. Not to be missed is the beef tartar, uniquely prepared with a Thai flair, including roasted peanuts, Sambal, and onion salad. 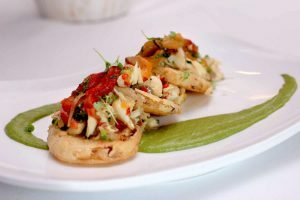 Chef has crisped garlic slices in such a way they’ve taken on a chip-like quality, and add sweetness and unexpected crunch. The rich decadence of his Heureux Farms pork belly plate warms from the inside out. 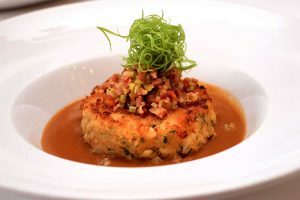 Seagar’s crab cake combines jumbo lump and Alaskan king crab meat into a smooth gumbo with Andouille and shrimp relish. Chef Lee Guidry wanted to spice up the classic shrimp cocktail, adding green papaya, mango and horseradish. 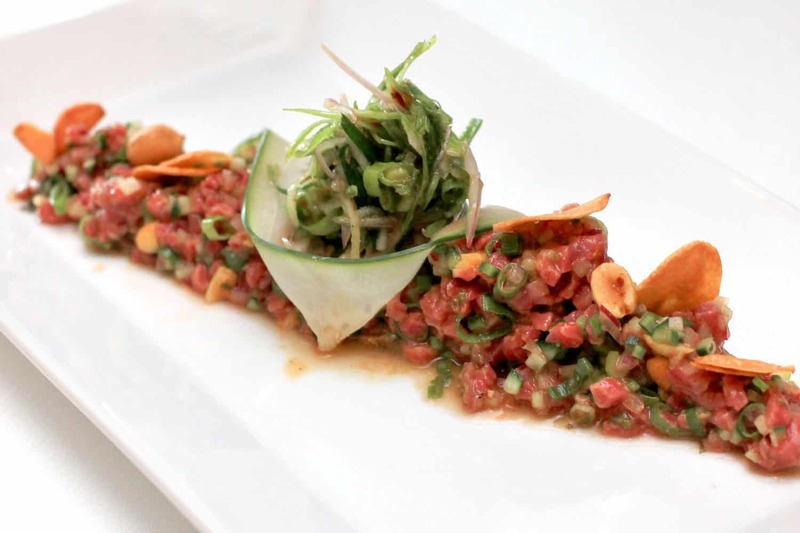 For an Asian twist on steak tartar, Chef Guidry added roasted peanuts, Sambal, onion salad, cucumber and lime, topped with crisp garlic chips. The chef’s selection of live oysters is visually stunning as it comes to the table. 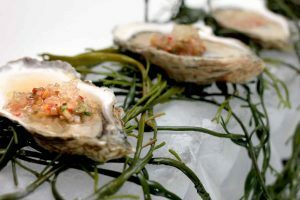 Served on a giant block of ice garnished with edible seaweed, Guidry and his kitchen offer a lineup of Wellfleet oysters. The flavorful garnish – a ceviche-style escabeche of cucumber and finger limes – gives the protein an approachable texture that might appeal to those typically turned off by the springiness of raw oysters. 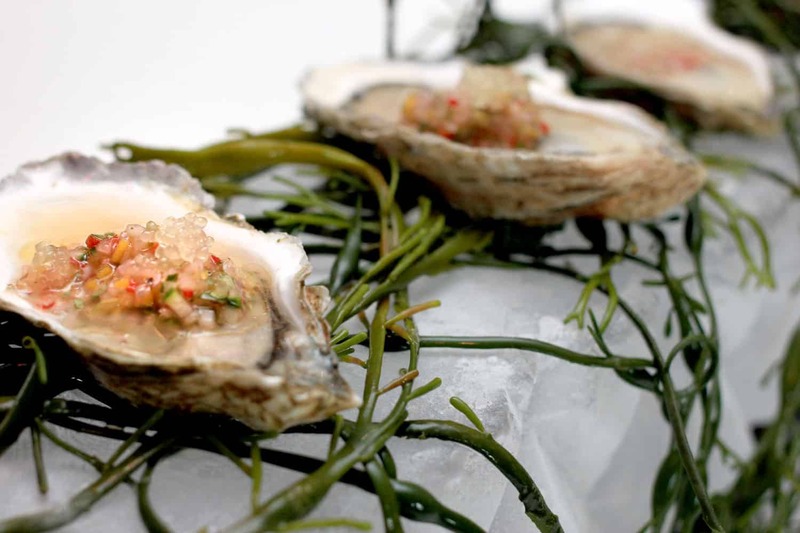 Despite working in Apalachicola country, Chef prefers the terroir of cold water oysters. “It’s a much, much cleaner flavor, a lot more salinity, and I feel a lot more comfortable with them,” Guidry explained. Off the entrée menu, the seared diver scallops were expertly cooked. 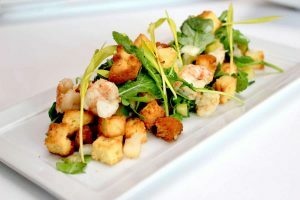 The panzanella salad incorporates sweet cornbread croutons, baby arugula, rock shrimp, chow chow, and corn shoots. 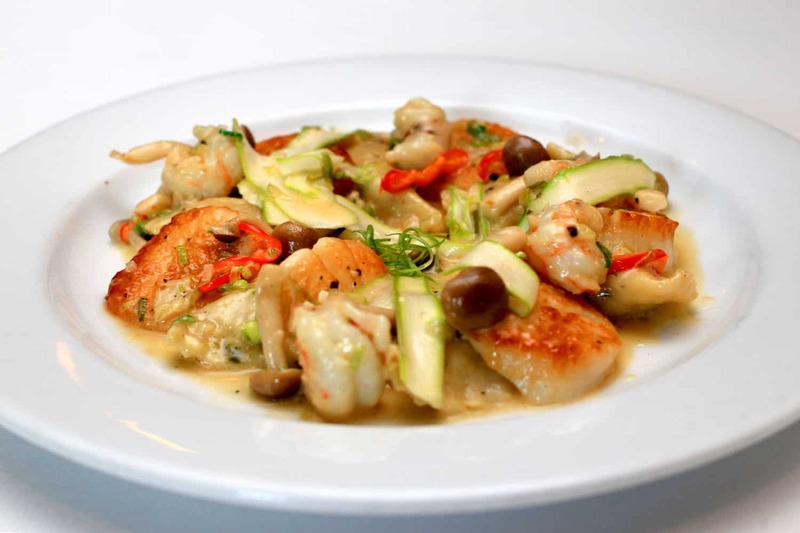 Chef paired seared diver scallops with rock shrimp agnolotti, beech mushroom, shaved asparagus, and baby bell peppers. 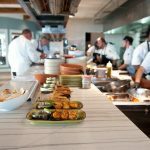 Dan Vargo, the executive chef at Hilton Sandestin who used to lead the Seagar’s kitchen himself, acknowledged Seagar’s is still a high-end steakhouse, but this fall menu is an opportunity to flex some culinary muscle. Whole grain mustard imparted a lot of flavor into the pan-roasted grouper, served with jumbo lump crab, risotto, and scallion. The sautéed snapper entrée is presented with pan-roasted fingerling potato, wilted spinach, and an oven-roasted tomato pan sauce. To finish off the meal, Guidry created a chocolate praline dessert, featuring a flourless torte, served with a mirror glazed sphere of hazelnut mousse, aerated salted caramel, port wine reduction and candied hazelnuts for texture. 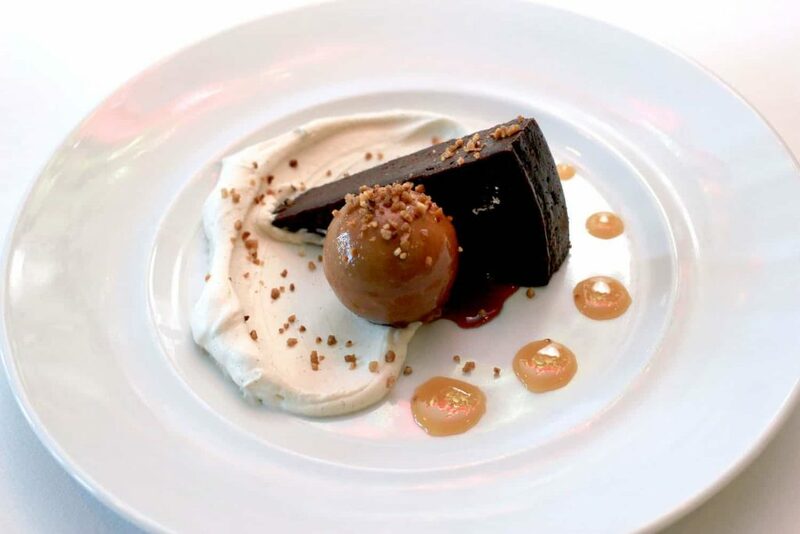 A fitting treat to an extravagant meal, the chocolate praline flourless torte is paired with hazelnut mousse and aerated caramel. Seagar’s Prime Steaks & Seafood is located at 4000 Sandestin Blvd. South in Miramar Beach, within the Hilton Sandestin Beach Golf Resort & Spa. The restaurant is open Tuesday to Thursday, 6 to 9 p.m., and from 6 to 10 p.m. Friday and Saturday. Cherries are in peak season and if you are a fan of a fruit dessert, this is a great choice! 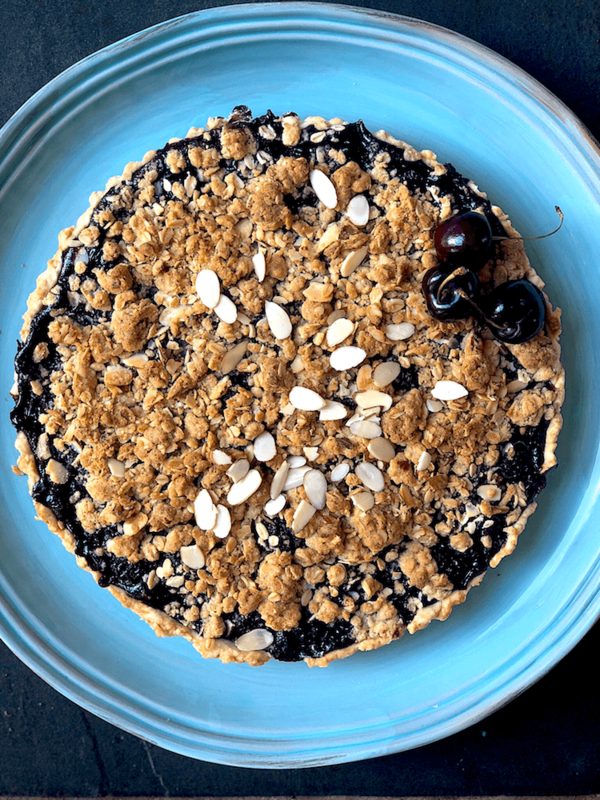 The amaretto is a perfect complement to the cherries and the almond streusel adds just the right amount of texture. Invest in a cherry pitter to make the pitting of the cherries easier. Don’t forget to heap on a large scoop of vanilla ice-cream to complete this summer dessert. In a food processor, pulse flour, sugar and salt. Add diced butter and pulse until mixture resembles a coarse cornmeal. With motor running, add vodka first and then add water a tablespoon at a time, until the dough comes together in a ball. There may be some flakes of butter and that is fine. Collect dough and flatten into a disc and wrap dough in plastic. Place wrapped dough in fridge, and allow to rest for at least 1 hour. Remove from fridge, and roll out on a floured surface to a 12 inch diameter. Spray a fluted 9 inch tart pan with removable bottom, with cooking spray and place crust in pan. Roll off any excess dough by trimming the edges as needed. Puncture the bottom with the tines of a fork and place in freezer (for about 10 minutes) while you preheat oven to 350 (I recommend convection for even baking). Line the crust with parchment paper and place ceramic baking beads or dried beans to cover bottom of crust. Bake crust in oven for about 10 minutes. Remove beads and bake another 10 minutes until crust is lightly golden. Remove from oven, allow to cool while you prepare the filling. 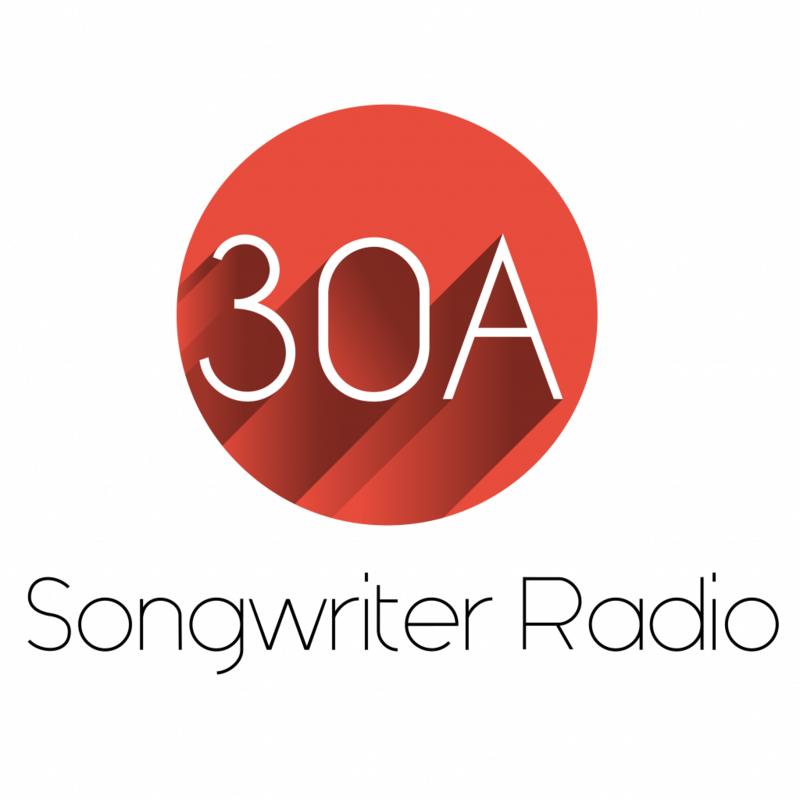 Keep oven on at 350. 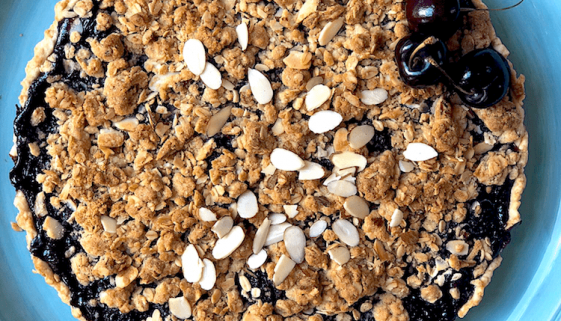 In a medium bowl, combine the oats, flour, brown sugar and almonds. Add butter and almond extract to the bowl and break up butter with your fingers butter until mixture resembles coarse crumbs. Place in the refrigerator while you prepare filling. In a large saucepan, combine the sugar, cornstarch and salt. Stir in pitted cherries; bring mixture to a boil over medium heat, stirring constantly and continue to stir for several minutes or until mixture thickens. Remove from the heat and stir in amaretto. Pour filling into pa- baked crust. Sprinkle streusel over filling to cover tart evenly. Bake tart for 30-35 minutes or until topping is golden brown and cherries begin to bubble. Cool on a wire rack. To serve, remove from fluted pan and slice. Serve with a large scoop of vanilla ice-cream. 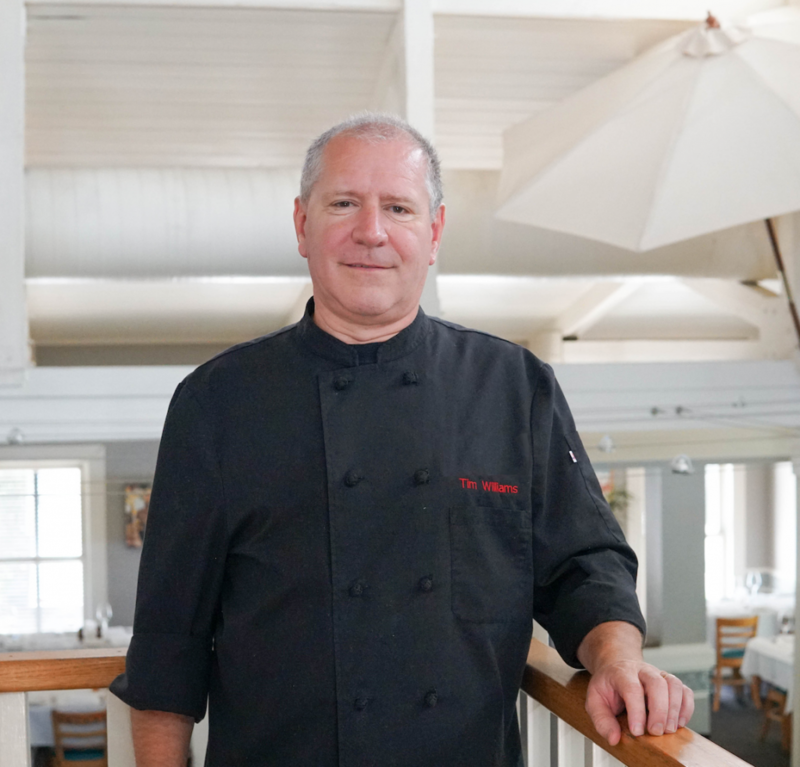 Cafe Thirty-A welcomes Chef Timothy (Tim) Williams as the new Executive Chef. Tim is excited to be a part of the Cafe Thirty-A family. Timothy’s food philosophy is all about using “fresh ingredients and letting the beauty of the flavors speak for themselves.” Guests can expect the classics to stay on the menu, but look out for exciting dishes by Tim influenced by his world travels focusing on a Mediterranean style with an Island twist. Tim’s experience speaks for itself as he has worked as a chef for over 25 years at some truly exceptional restaurants. Tim was ready for a change from the big city of Atlanta, so he decided to head south and enjoy the beach life while still doing what he loves. As always, Cafe Thirty-A remains consistent in both service and cuisine and welcomes both locals and visitors to come in and dine. Chef Tim is originally from Brooklyn, New York, and recently moved to Panama City Beach after living in Atlanta, Georgia for almost 20 years. He graduated from the Culinary Institute of America, Hyde Park. Previously, he worked as a partner for the Atlanta based restaurant ‘Dantanna’s. 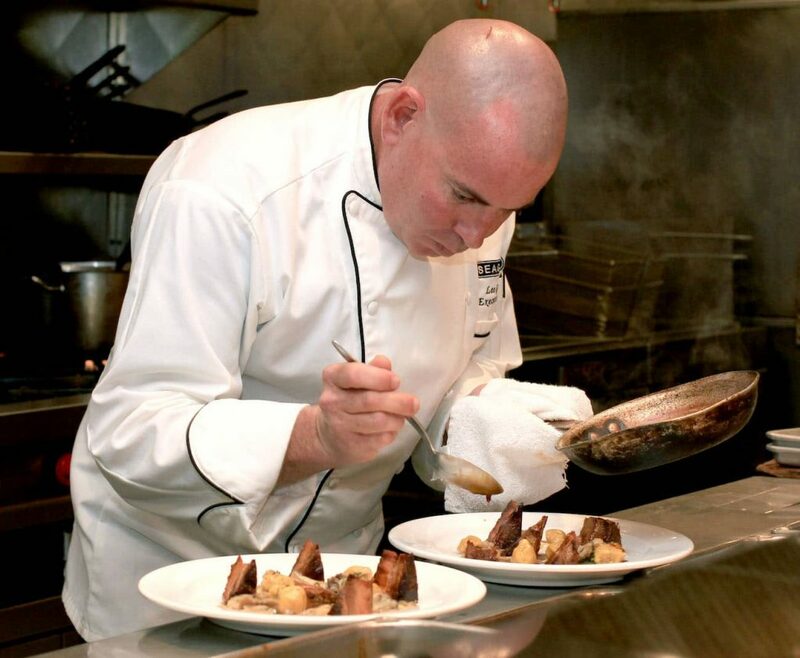 Prior to opening Dantanna’s in 2003, Williams served as Executive Chef for Proof of the Pudding at Gwinnett Center and oversaw the opening of The Arena at Gwinnett Center in Duluth. Chef Williams worked for Hilton Hotels and with Miami-based Tango Group, where he served as the Corporate Executive Chef in charge of all menu development. Special Contribution to 30a Food and Wine.